God’s Own Country draws visitors year on year for many wonderful highlights in its calendar. One such highlight takes full advantage of the state’s many waterfronts and must be explored by sports lovers. These are the snake boat races, which are organized across the backwaters, one of the major tourist places in Kerala. The races are mesmerizing as lines of boaters row at full speed to reach the finish line first. They are a sight and must be witnessed at least once in your lifetime! Here is a list of five popular boat races in Kerala that you must see during your next family vacation. Dedicated in the memory of late Prime Minister Jawaharlal Nehru, this race is held during the monsoons at Punnamda Lake in Alleppey. It will be held on 11th August this year. Spectators throng to watch this race, in which competitors compete with much gusto. You will need to purchase tickets in advance. This boat race celebrates the day when the Krishna idol was mounted in the Shree Krishna Temple of theAmbalappuzha region. It is one of Kerala’s oldest races and the boats are colorfully decorated and filled with performers. It will be held in theChampakkulam Lake on 28th July. It is a two-day race held during Onam. 26 Palliyodam boats compete along with a large installation of Lord Krishna. The boats are decorated in parasols. It is organized on the pious Pampa River in the month of August or September. To mark the installation of the statue of Lord Subramanya at theHaripad Subramanya Temple, this boat race is organized in the month of September on the Payippad Lake. 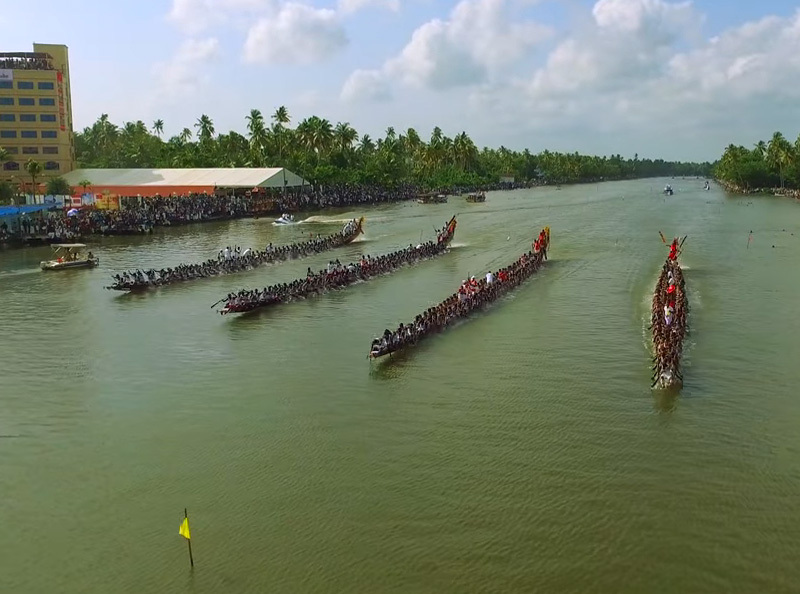 This is a three-day boat race festival, which happens during Onam. In addition to these traditional boat races, Kerala tourism offers a plethora of activities you can enjoy together as a family. Take full advantage of the many things to do by opting to stay at Club Mahindra properties across Kerala. From their Munnar resortsto the ones in Alleppey, the resort offer a unique stay experience with plenty of in-resort activities to indulge in. Spacious rooms with modern amenities, restaurants serving delicious regional cuisine and breathtaking views are there to welcome you. Enjoy the snake boat race season in Kerala during your next family vacation with India’s favorite resort chain. All you have to do is log onto Club Mahindra’s website or mobile app!Also, read through these Club Mahindra reviews& get a sneak peek of what Club Mahindra members have to say about these resorts in Kerala. Want to Enjoy the Boat Race in Kerala? Then Book Your Trip Now! This entry was posted in Kerala and tagged alappuzha boat race, aranmula boat race, champakulam boat race, kerala boat race, nehru boat race, onam boat race kerala. Bookmark the permalink.